Teachers teach and students learn. At least, that’s the assumption we make in schools every day. But how do you know that what are you doing as a teacher really works with your students? Determining impact involves more than just entries in a gradebook. Tracking a student’s growth over time is a complex matter and relies very much on teachers working together to understand cause and effect – what influences learning and the size of the impact on learning. Visible Learning was introduced by John Hattie, an Australian education researcher, in 2009. Hattie was interested in identifying effective and ineffective educational practices in an effort to make learning more visible for teachers and students. Visible learning encourages teachers to see learning through the eyes of students to help them become active learners. Hattie’s Visible Learning project is a meta-study, an examination of a variety of different instructional practices, that seeks to quantify the effectiveness of those practices to better understand what works and why. Hattie compared effect sizes of many aspects that influence learning outcomes. Interestingly, Hattie points out that in education most approaches work. The question is which ones work best; this in turn points to where we should concentrate our efforts. Applying Hattie’s method requires pre-testing before instruction and post-testing after instruction to measure the difference. Determining an effect size requires some calculation: determine a standard deviation among student scores then subtract pre-assessment from post assessment outcomes and divide by the standard deviation. This results in an effect size. Hattie determined that an effect size of .40 is generally the equivalent of one year of growth. The greater the effect size, the stronger the influence. By categorizing influences or approaches to instruction, Hattie created size. Hattie continues to update his list to include more data and presents various organizations of the list to help educators better understand Hattie’s 2018 updated list of factors related to achievement; a 2017 spreadsheet allows users to sort by influence, aspect, factor and effect size; a list can also be found in each text that presents Visible Learning. Hattie’s research and methodology provides a context for determining growth and what influences that growth. Perhaps most significant about Hattie’s work is that it reveals the highly effective practices to enhance and encourage, thus making better use of limited time and resources. Focusing professional learning and instructional time on the most effective practices maximizes learning and supports catch-up growth. Visible Learning also enhances formative assessment practices by connecting them to growth monitoring. In 2016, well-respected American literacy researchers Douglas Fisher and Nancy Frey teamed up with John Hattie to publish Visible Learning for Literacy: Implementing the Practices That Work Best to Accelerate Student Learning. This text takes a deep dive into Hattie’s work as it applies specifically to ELA/literacy. Fisher, Frey, and Hattie demonstrate instructional moves and note their effect sizes throughout the text. Building on the Text Dependent Questions: Pathways to Close and Critical Reading, an earlier Fisher and Frey text, Visible Learning for Literacy moves students from surface, to deep, to transfer level learning with the most effective practices, as suggested by Hattie’s work. 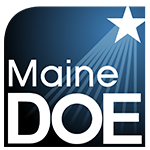 In 2018, Maine DOE’s Summer Literacy Institute, Promote Positive Impact/Accelerate Student Literacy with Visible Learning, will focus on the application of Hattie’s Visible Learning research to literacy instruction. This two-day event will prepare ELA/literacy teachers and leaders to explore the concepts of Visible Learning to enhance instruction and improve student outcomes. Fisher and Frey associates Marisol Thayre and Olivia Amador-Valerio will lead the institute, providing first-hand experience at both the elementary and secondary levels to demonstrate effective practices that lead to significant growth. Seats are limited; register today. Share this flyer with your colleagues! 10 Mindframes for Visible Learning: Teaching for Success, Video, Dr. John Hattie explains why midframes are critical to the implementation of his research.